It’s immensely satisfying to see the business of liquor join Salt Lake City’s rise of local-centric, passionate entrepreneurs. After the recent celebration of successful distilling organizations such as High West, Sugar House, Beehive and others, more people are becoming inspired to add their own unique twist to the market and add that missing element of personal craft within our state’s alcohol distribution centers. SLUG recently had the opportunity to sit down with three top-notch distilling companies that are, at most, only months away from appearing on a shelf near you. All the way from Eden, Utah, New World Distillery is a family-run business started by husband-and-wife duo Chris and Ashley Cross. Along with the help of their two kids, Hannah and Conor, and Ashley’s brother, David Dunn, NWD is out to produce one of the best agave spirits (better known as tequila when it comes from Mexico) in the Rocky Mountain area. 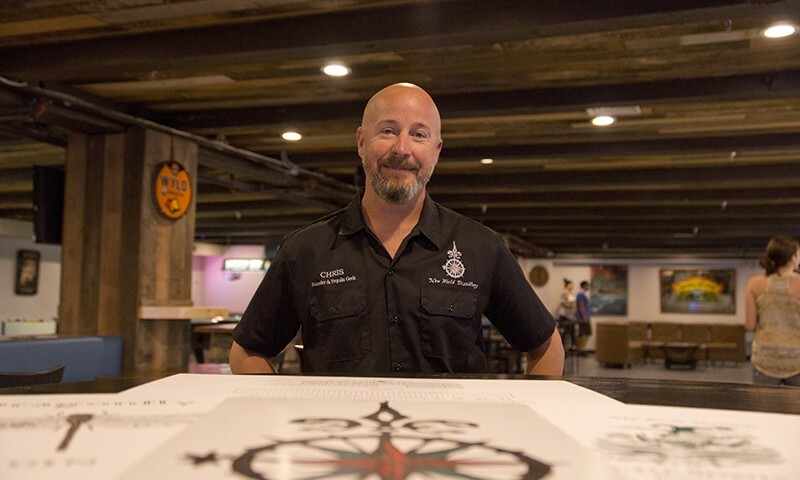 As a retired veteran from the Naval Academy, Chris explains that he and his wife decided to begin their own distilling line as a means of transforming their shared interest into a lucrative establishment for their family’s future. Within the last few years, the two of them began taking tours of distilleries across the United States, Mexico and the Netherlands to educate themselves on the processes of creating quality commodities. As is the case with all startup distilleries, it’s important to have a product to immediately put on the shelves once the business is in operation. Other liquors, such as reposado tequila or whiskey, usually require an aging process of some kind, which causes significant delays. Thus, NWD will hit the market with their first (no-aging-required) batches that are combined with specific ingredients that reflect their local values. To separate from other brands in Salt Lake, New World is distancing themselves from cowboy-themed products and focusing on the untainted quality of pre-colonial America. As owners of a naturalistic distillery, the Crosses are inspired by organic, North American ingredients. Although NWD just began construction on their new facility in Eden, Cross is already promising complete transparency with their products. They’ve invested in a state-of-the-art still, which has an unconventional but innovative design, cutting-edge fermenters, and an evaporation unit that recycles 100 percent of all waste water. Everything will be available for the public to witness for themselves, either by tours or by simply visiting the retail front, which will have an enormous glass wall to see directly into the production line. 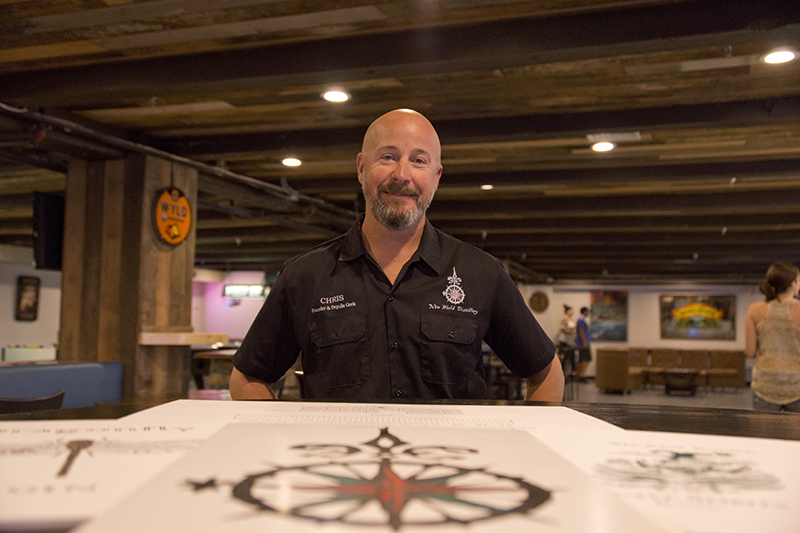 The goal, Chris explains, is to bring the public in and create a trusting relationship with the community over a shared love of craft spirits and geographic pride. “We’re not just in this to make money. … We’re trying to build a legacy that’s trustworthy,” says Chris. Until their self-designed, beautifully rustic building finishes its construction, keep an eye out around Memorial Day Weekend 2016 for New World Distillery’s debut spirit. You’ll be able to recognize their agave spirit bottle by local artist Tyler Davis’ intricate illustration of Mayahuel, the Aztec goddess of agave. More info can be found on Facebook and at newworlddistillery.com.